A getaway to India’s biggest EDM event- Sunburn Festival 2018 : Namaste! So, begin your new year partying with 50 extreme live performances at Sunburn 2018 Pune. Take a glance at this article before planning your trip. Sunburn Festival 2018 tickets are available in Book My Show. The cost for a single day pass starts from INR 1799; whereas the festival pass is priced at INR 5999 onwards. 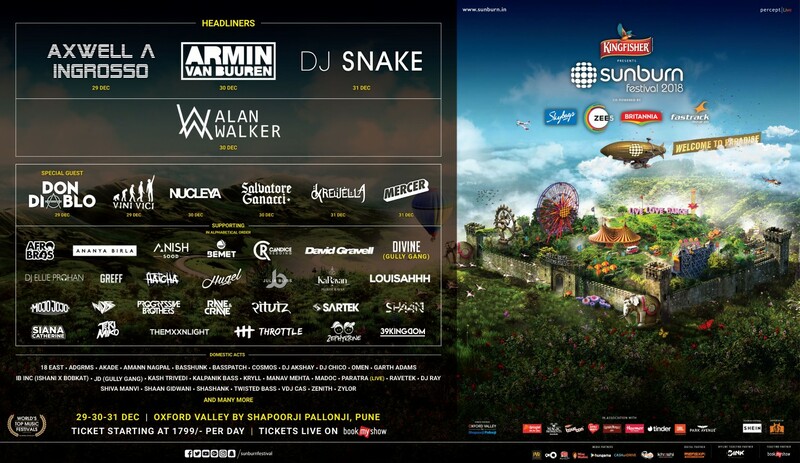 The Sunburn Festival 2018 Pune also offers a camping experience at Oxford Valley, for which, there are separate pass categories. There is a group booking facility as well for a batch of more than 20 people. You can book Sunburn Festival 2018 tickets here. 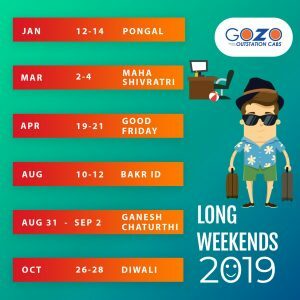 How to reach Sunburn Festival Pune? Pune is one of the highly connected cities of India. You can reach Pune by flight, train, or intercity cabs. The Lohegaon Airport (PNQ) of Pune is connected with regular domestic flights from major cities of India. The airport is about 24 kilometers far from the event venue, i.e Oxford Golf Resort and the travel time is approximately an hour. You can also check shared outstation cabs from Pune airport to reach your destination. The Pune Junction is the main railway station of Pune. Trains from almost all major cities of India arrive at this station. This railway station is about 18 kilometers far from Oxford Golf Resort and it takes about 50 minutes travel time to reach the venue. Pune has an excellent road network. There are regular luxury buses and taxi available for Pune from different cities of India. We suggest traveling in an intercity cab to and from event venue in order to prevent driving tiredness. 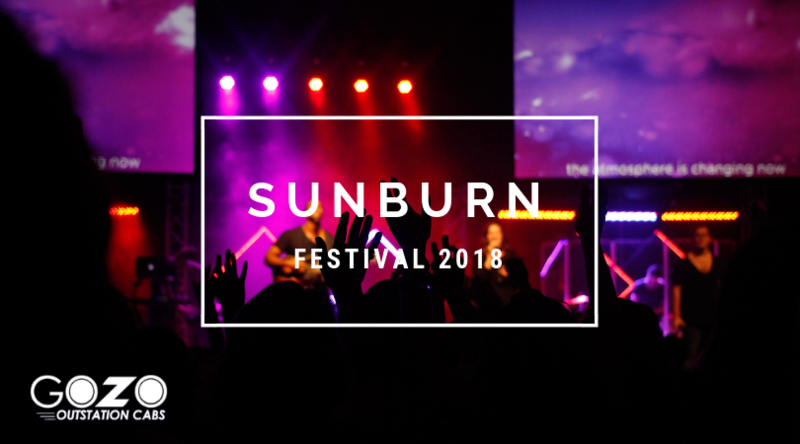 Sunburn Festival 2018 Pune itself is providing camping experience in Oxford Valley. However, if you prefer a private stay, there are several options to stay near the event venue. For example, there are Novotel, Marriott, Hyatt, Westin for a luxury stay and Treebo, fab hotel, Ginger, etc. for an economical stay. You can also check online for the prices and occupancy for these hotels.